Does anyone else have the great "who's going to drive" debate every time they head off for an adventure in Tyne & Wear? Being the designated driver isn't the best way to spend a weekend, stressing over car parking spaces and, of course, not being able to enjoy a drink when you get to your destination. 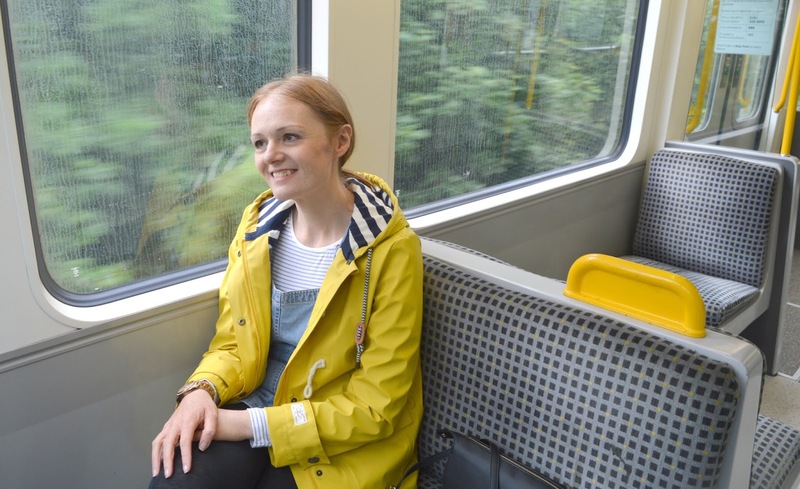 Sometimes we love to leave the car at home so that we can both relax and set off on an adventure on the Tyne & Wear Metro. We're so lucky to have such a well connected network that can get you to some fantastic places in the area, so last weekend we decided to walk North Tyneside with the help of Tyne & Wear Metro. The Metro Pop PAYG card is the best way to travel if you want to explore the region this Summer as it's the most cost effective way to get around the network with travel cheaper than single and day tickets and capped to ensure you never pay too much. We ordered our Pop PAYG cards in advance online, they arrived a couple of days later and we were ready and armed with fully loaded Pop cards ready to go on a North Tyneside adventure. One of our favourite weekend activities is catching the Metro to Whitley Bay and then walking the 3 miles along the coast to North Shields. Come rain or shine it's something that we love to do and although a sunny walk is beautiful I have to admit that the cloudier days when the tourists are in hiding and the atmospheric mist is drifting along the coast are my favourite - it is so serene and peaceful. Last Sunday we had one of those days and after days being glued to our desks Simon and I were both in need of some sea air and Tyneside views to blow away the cobwebs and give us a good leg stretch. So we put on our waterproofs and headed to our local Metro station for the quick 30 minute journey to the coast. We like to begin our North Tyneside adventures at Whitley Bay as their booming foodie scene makes it our favourite coastal destination for brunch and coffee stops. 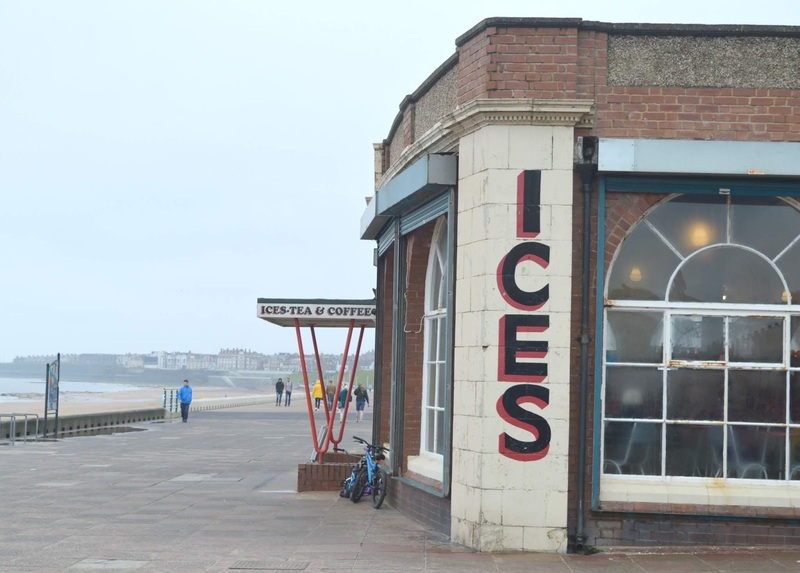 My list of places to try is out of control and with the reopening of Spanish City happening soon, Whitley Bay is going to be the place to be this Summer. Whitley Bay Metro Station is in the middle of the town centre offering a nice stroll down to the seafront and plenty of opportunity to distract yourself by all of the fantastic independent shops and businesses - we've been known to take a good hour to get ourselves down to the sea due to the sheer number of places that we "just want to pop into". 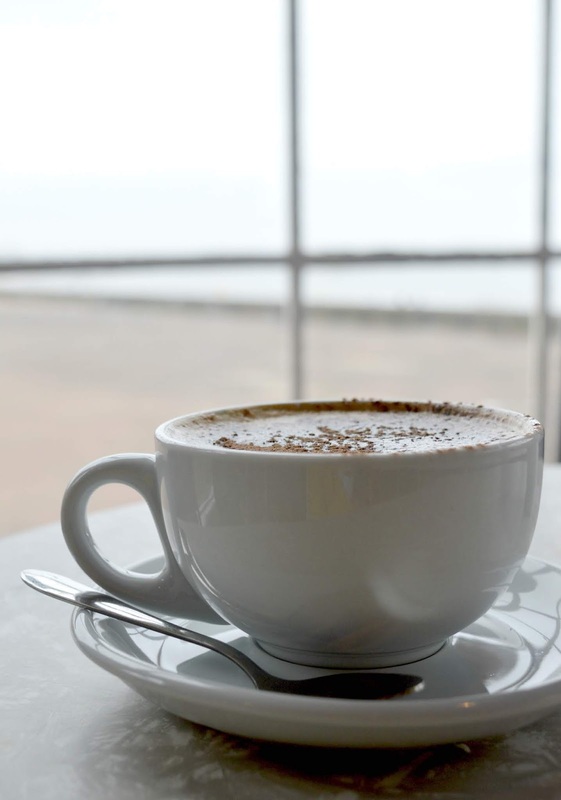 Every misty day at the coast should, of course, start with a nice cup of hot coffee and we thought it was about time that we tried Rendezvous Cafe. We have walked past the famous little beachside cafe so many times and it's forever popping up on my Instagram feed yet we'd never been inside. 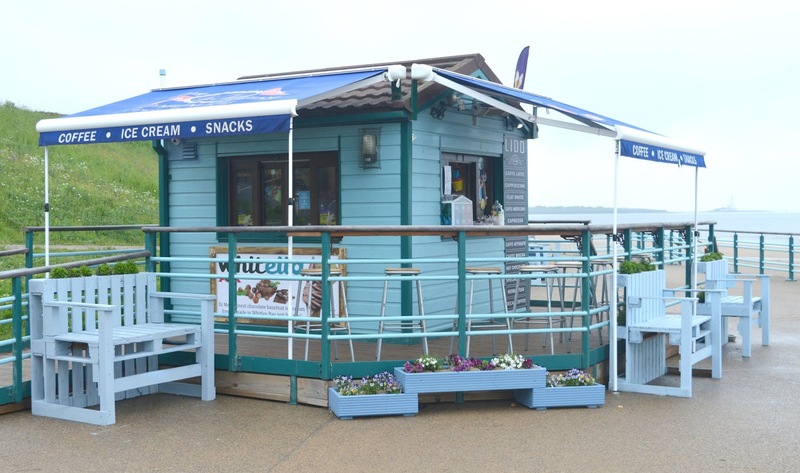 Serving the residents of Whitley Bay since the 1930s, Rendezvous Cafe is a must visit if you love a spot of British seaside nostalgia. The walls behind the counter are covered in old style boards proudly displaying the ice-cream sundaes available and I definitely want to return on a warmer day to try out one of their Peach Melbas. The classic cafe has been owned by the same family for almost six decades and the interior has kept most of its original features, walking through the doors is a little like stepping back in time and as we took our seats with a cup of coffee each I couldn't help but romanticise about all of the people who had visited over the years. The walk from Whitley Bay to Cullercoats takes around 30 minutes and is a good place to stop if you fancy a ridiculously huge ice-cream sundae or a sit on the beach. We decided to have a little nose through the windows of The Boatyard, somewhere we've been wanting to eat for a good while now. With only a handful of tables inside it tends to get a little busy at weekends but luckily for this trip we had timed it just right and grabbed the last table. 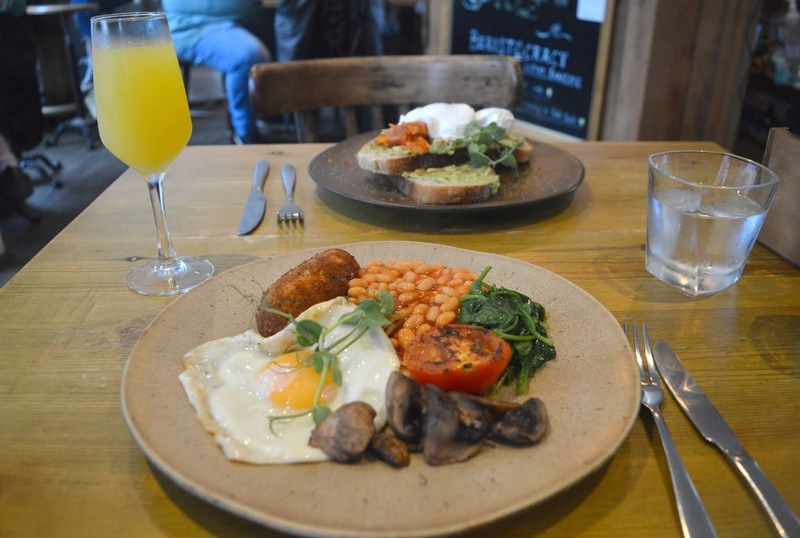 The Boatyard serves a brunch based menu packed full of your favourite breakfast dishes, so many that I'm already planning our return visit so that I can begin working my way through the rest of the menu. For our first visit I opted for the Veggie Breakfast, whilst I'm not a vegetarian the promise of homemade Glamorgan Sausage, Halloumi, Tomato, Spinach, Fried Egg and Mushrooms with Toast sounded too good to resist. Simon ordered the Avocado on Sourdough - red pepper salsa, roasted pine nuts, flaxseeds, chilli flakes and 2 poached eggs. I would have been jealous is my food hadn't been so perfect. 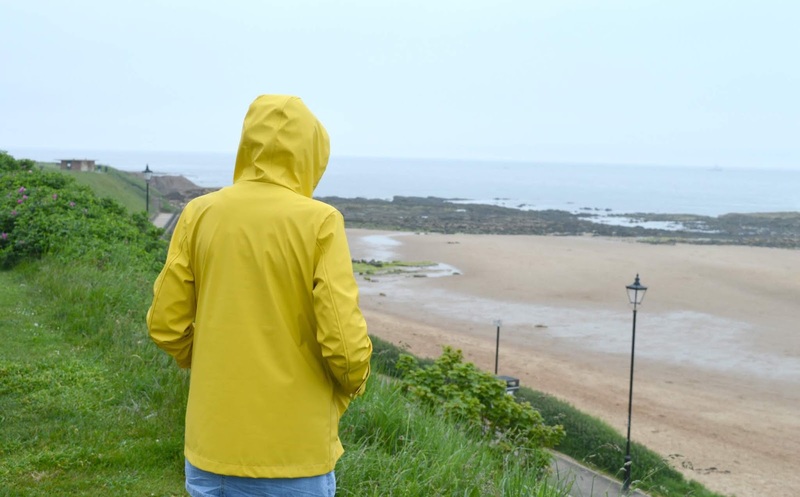 Of course, the joy of having a Pop PAYG card is that if you are beginning to feel a little soggy from the rain or you are tired from the walk you can cheat as there's another Metro station at Cullercoats! Simply jump on the Metro to Tynemouth and cut down the time spent on your legs. I promise we're not usually this lazy but sometimes it is a little tempting! On this visit we decided to do the whole walk, with plenty of food and drink stops along the way and a promise to ourselves that we'd just take it at a gentle stroll (easier said than done when out walking with me because I am a speed demon!) there was no reason not to enjoy the refreshing sea air. Although it was a little drizzly it felt nice feeling the rain water on my face and, as I pointed out to Simon, some people pay a lot of money in spas to get themselves covered in salty water. Tynemouth was our next destination and the walk was a pretty quick one (I think we perhaps had some extra energy from our delicious brunch). 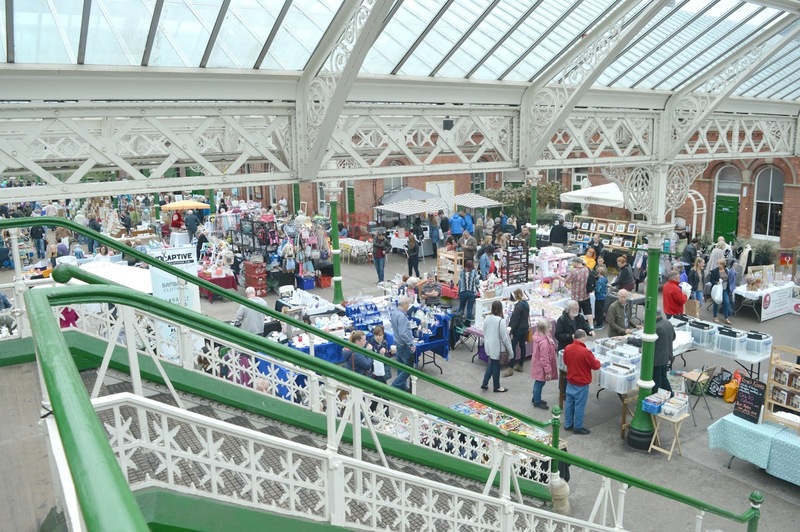 We headed straight for the Tynemouth Metro Station which plays host to the famous Tynemouth Market every weekend. Simon likes to visit every time we're in the area to stock up on Benny's Macaroons whereas I just love to mooch around looking at the beautiful paintings and artwork. With a bag stuffed full of Macaroons we decided we'd got to the point in the day where a drink would go down a treat so headed down Front Street, home to Tynemouth's collection of bars. There are so many fantastic places to grab a drink in Tynemouth it's pretty hard to choose where to go but after asking Twitter (how did I ever make decisions before Twitter!) 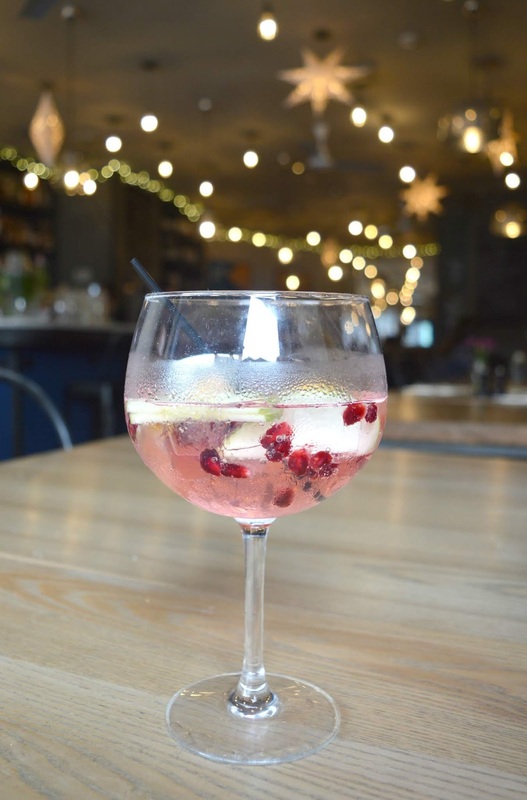 we ended up in Coast Kitchen & Bar where I enjoyed a Coast G&T and gawped at the beautiful ceiling of lights - I can imagine this little place must be a beautiful spot to spend the evening. The last part of our walk is perhaps my favourite stretch of the North Tyneside coast, despite it being our least walked part. 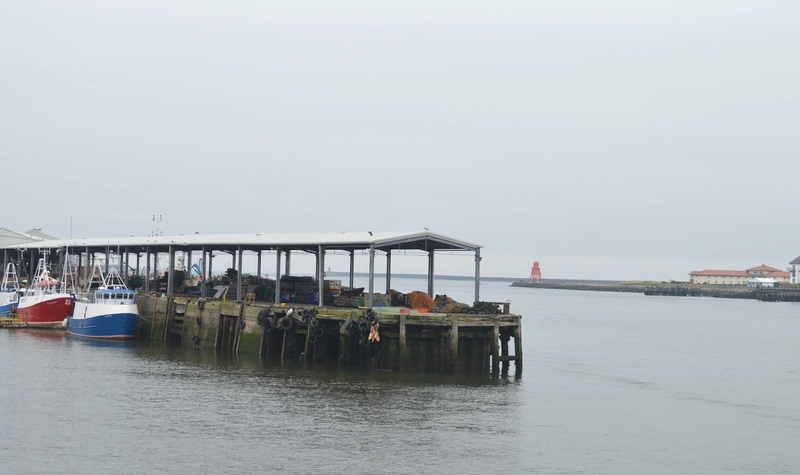 I will admit we tend to go home after Tynemouth so it was nice to do the quick stroll along the coast to North Shields' Fish Quay. Unfortunately we'd left it too late in the day to truly explore but it was a welcome reminder that North Shields is a lovely little spot for a weekend mooch and maybe we should pay it more attention in the future rather than heading straight to Whitely Bay or Tynemouth each time we visit. With a lot of places shutting up for the day we decided to head straight to a bar for another G&T. So many people had recommended that I try The Salty Sea Dog and I'm so glad that I listened because the place is so cute and dinky (I'm such a sucker for a tiny bar!) 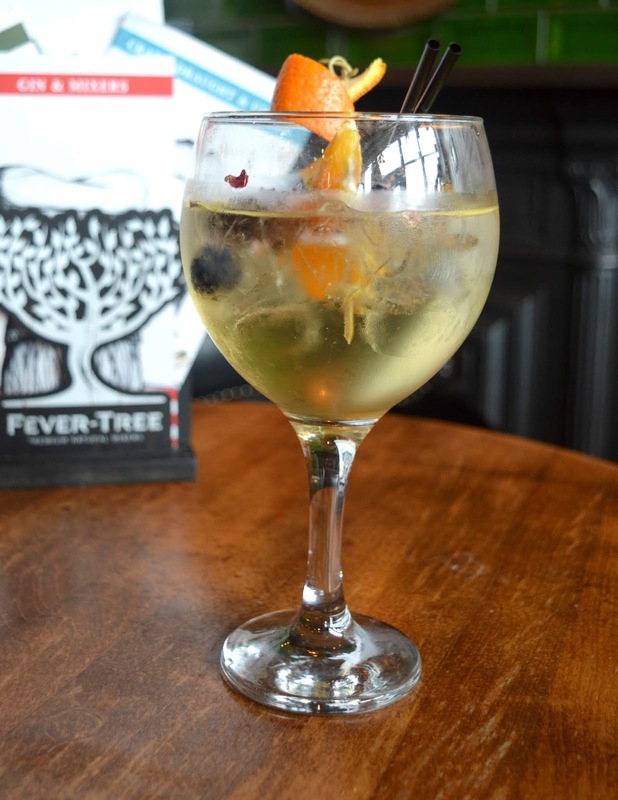 and has the most amazing amount of gin (surely the best in North Tyneside) with garnishes that can only be described as pieces of art! If you fancy planning your own North East adventure with the Tyne & Wear Metro a Pop PAYG card is the best way to travel. You can purchase your Pop PAYG card online here or at a Nexus TravelShop or selected payzone stores. Pop cards are free but you must top it up with a £10.00 balance at the time of order. Pop PAYG cards are cheaper than adult single and day tickets - they are 30p cheaper than cash single tickets and 40p cheaper than cash day tickets and you can travel as many times as you like in a day. You'll never pay more than the daily cap (£2.60 for one zone, £3.70 for two zones or £4.70 for all zones. There are also Under 16 Pop cards available with journeys costing just 60p for a child's single and £1.10 for a child's all day ticket. 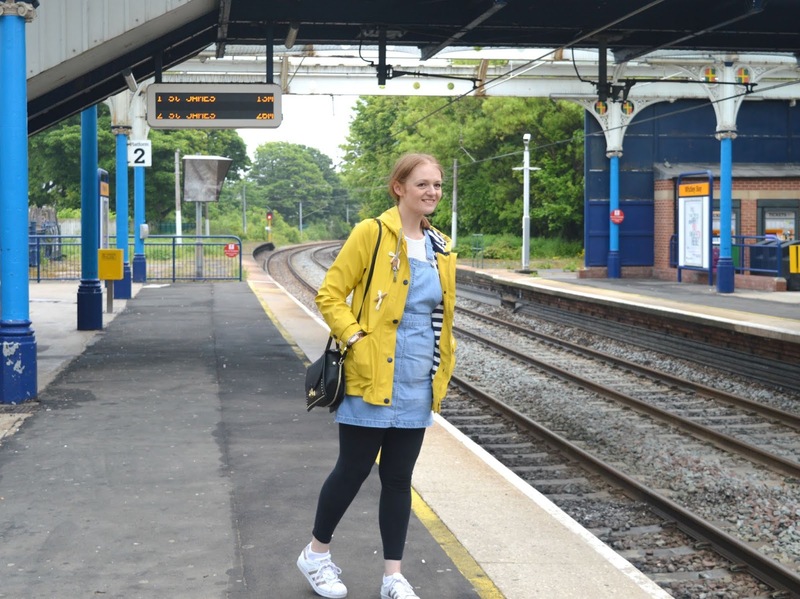 This post was written in collaboration with Tyne and Wear Metro who paid for our expenses - all thoughts and adventure experiences are our own. So glad you had a lovely time over at the coast! I've actually never been to coast bar yet in Tynemouth so must visit...but of course The Salty Sea Dog has got to be the best for gin! There's a few new restaurants opening on the fish quay in the coming months so there's an excuse for you to return! We will definitely be back, I really need to go to the Staith House for Sunday lunch! It has to be our most visited part of the North East, whenever we're stuck on what plan to make that's where we end up! Beautiful photos Chloe - I think we'll walk Whitley Bay to Tynemouth and back in the summer. REALLY wish there was a metro service in Cramlington! We tend to use the Northumberland Park station to begin our Metro journeys now as the #19 bus takes us straight there and stops outside of our door OR it's en-route to Steve's work and he can drop us off. We normally buy a family ticket but I love the idea of the POP card too. This is my second POP card because I lost my first! LOL! Hoping I keep hold of this one for longer!